Susan Bauer (MFA, RSME/T) is a teacher, dancer, author, Fulbright Scholar, and somatic educator and practitioner living in the San Francisco Bay area. Susan offers classes and workshops in Authentic Movement, experiential anatomy, and meditation. She is also the founder of Embodiment in Education and offers workshops and teacher trainings internationally. In her thirty-year career, Susan has taught in college and community settings, informed by her extensive background in dance, Authentic Movement, and Body-Mind Centering®. She began her study of Body-Mind Centering® with founder Bonnie Bainbridge Cohen in 1984 and is a Registered Somatic Movement Educator / Therapist through ISMETA. Other somatic disciplines in her background include study of Ideokinesis with Irene Dowd and Experiential Anatomy with Caryn McHose and Andrea Olsen, along with Laban/Bartenieff Fundamentals and the Feldenkrais Method. Susan served on the Board of Directors of ISMETA (International Somatic Movement Education and Therapy Association) from 2012 to 2015 and has a private practice in the San Francisco Bay area. Her unique approach integrates Authentic Movement, somatic movement education, and meditation as a basis for in-depth, conscious personal transformation. Her Practitioner Overview Statement can be seen on the ISMTEA website. 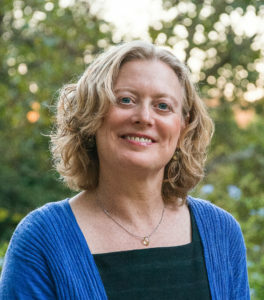 Susan is also an innovative educator and author of The Embodied Teen (North Atlantic Books, July 2018), which presents her unique curriculum in somatic movement education for adolescents and young adults that she developed over decades of working with youth in the U.S. and abroad. She is the founder and director of Embodiment in Education, offering workshops and trainings in professional development for educators based on this curriculum. The Embodiment in Education training, now in its tenth year, has been attended by professionals from across the U.S and six different countries, and has included guest faculty Bonnie Bainbridge Cohen, Deane Juhan, and Caryn McHose. Susan has been dedicated to the practice of Authentic Movement since 1984. She studied with several of the graduates of Janet Adler’s school in Massachusetts (the Mary Starks Whitehouse Institute) and later extensively with Janet Adler in California. Susan has facilitated Authentic Movement in the U.S. and Asia, and continues to be inspired by supporting others in this deep and rewarding experience as part of their own personal journey. She also developed her own form of dance improvisation, called Moving-from-Within™, based on the philosophy of Authentic Movement, that she founded in 1987. Susan has studied with renowned American improvisers Simone Forti, Anna Halprin, Nina Martin, Richard Bull, and Cynthia Novack. She has also studied and performed with noted Indonesian movement masters Sardono Kusumo and Prapto Suryadarmo. Susan’s articles on Authentic Movement and international teaching in dance and somatics have appeared in several publications, including Contact Quarterly (Winter 2007) and in the books Dance, Somatics, and Spiritualities (2014), Embodied Lives (2014) and Essays on Authentic Movement, Volume 2, edited by Patrizia Pallero (2007). Susan’s background also includes meditation and dedicated study of spiritual philosophy from her Tibetan and Indian teachers, Garchen Rinpoche and Amma (Mata Amritanandamayi), respectively. Susan has also studied with Ellen Tadd since 1989, whose teachings on meditation and the integration of spiritual principles into everyday life have profoundly influenced her perceptions. She brings all of this background into her heartfelt teaching, embodied witnessing, and dynamic therapy sessions. Susan served for six years as Professor at the University of San Francisco in the Performing Arts Department, where she taught lecture / studio courses in Dance Appreciation and in Balinese Dance and Culture. She has also served as Adjunct Faculty at Dominican University, John F. Kennedy University (JFKU), and at California Institute of Integral Studies (CIIS) in San Francisco, teaching Experiential Anatomy and other somatic practices. She served as Program Director and Core Faculty at Moving on Center School for Participatory Arts and Somatic Research (2004 – 2009), an ISMETA-approved training program. Curriculum topics she has taught include Experiential Anatomy, Laban Movement Analysis, dance improvisation, dance and culture, contemporary dance history, and world dance. She has also taught at such places as Saint Mary’s College, San Jose State University, UCLA, and Denison University in the U.S, as well as at Taitung University in Taiwan and at the Moon Ban Dek School in Thailand. Susan is also a past Fulbright Scholar to Bali, Indonesia, where she has studied Balinese dance, mask-making, and ritual, since 1997. She has co-led tours to Bali for California Institute of Integral Studies (CIIS). As a performer, she has appeared in numerous intercultural collaborations in both the U.S. and Asia. Susan holds an MFA from the Department of World Arts and Cultures at UCLA, an MALS degree in Dance and Movement Studies from Wesleyan University, and a BA in Dance and French from Middlebury College. to receive news and information on upcoming events.